Bleeding gums is a common dental condition that can be caused by many internal and external factors. Occasional bleeding gums can be provoked by incorrect teeth brushing or brushing them too hard. If you started a new routine of flossing, your gums could be sensitive to it. This situation disappears in about a week. Most of the pregnant women are exposed to a condition called “pregnancy gingivitis” which represents an inflammation of their gums and at the same time it could cause tenderness and swelling. 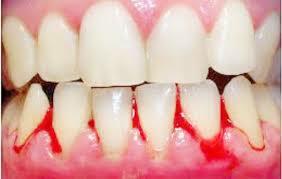 If a patient notices that his gums are bleeding on a regular basis he should make an appointment with his dentist. The dentist will decide what is the main cause of this condition. He may advise the patient to do some extra tests just to obtain a positive diagnose. Patients have to remember that they should brush their teeth twice per day, they also should floss once a day and they have to schedule dental appointments twice a year. All these tips lead to high-level maintenance of their oral health. Patients often visit their dentist only if they have some discomfort or pain. They should consider these symptoms as a potential sign that something is going wrong in their mouth. If any of these symptoms are presented in the patient’s mouth he should immediately contact his doctor. Bad breath. This condition is related to the plaque and tartar that is formed on the teeth surfaces. If a patient has a problem with brushing and flossing and he doesn’t do these procedures regularly, this may lead to a poor oral hygiene. 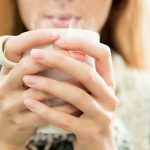 The results of this bad habit are bad breath from the accumulated plaque or tartar and eventually several other conditions like gum bleeding, oral infections. If the process progresses tooth loss is also possible. Plaque and tartar are formed by the residuals of the particles from the food and dead tissues which surround the tooth surface. If they are not removed quickly they are able to provoke gum inflammation. In this condition, when a patient brushes his teeth it is possible his gums to start bleeding. Food lodgement spacing gap between teeth. When a patient has poor oral health it is easy to conclude that he has bad oral hygiene habits. The food that is accumulated around his teeth would transform into plaque and tartar. If they are not removed, then the situation only can get worse and the food particles accumulation would be bigger. This means that spacing gaps between teeth would appear. Depending on the gaps size, normally, if they are bigger, the accumulation of bacteria would only increase. The aesthetic/cosmetic look is compromised. 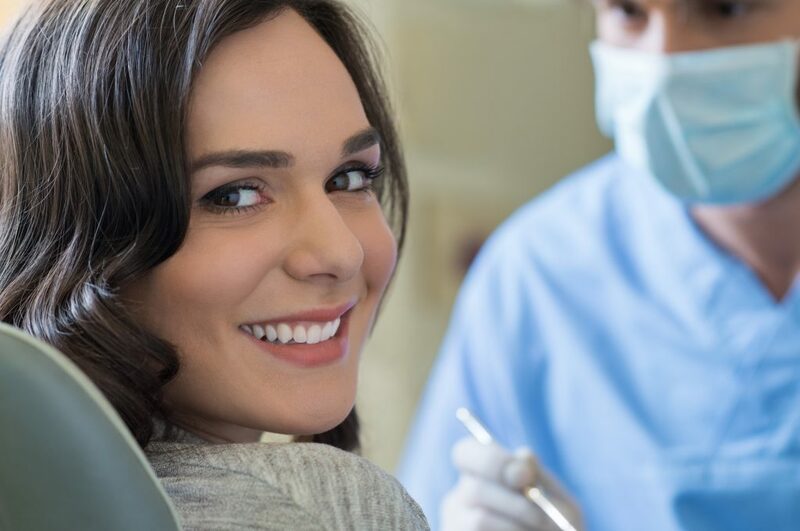 In general, if patients don’t maintain their oral health and don’t make appointments to their dentists it is guaranteed that their cosmetic look is compromised. 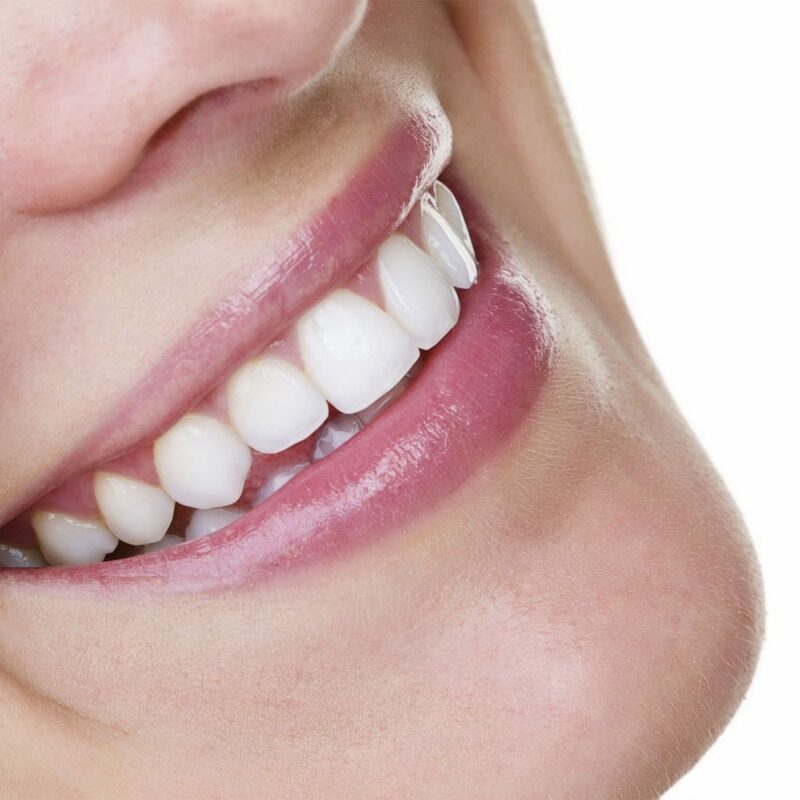 Regular check-ups at dentists offices lead to great esthetic and beautiful smile. A dentist would present to its patient all new trends and advanced techniques and also how they are matching patients needs. This way all patient would have at least healthy teeth. By applying advanced orthodontic treatments, patients would have a symmetrical smile and at the same time stable occlusion. If the condition of bleeding gums is not treated by a general dentist, it may lead to gingivitis. Below are listed more details about this condition. Gingivitis represents a condition when patient gums are inflamed. This situation occurs because of the presence of bacteria films that are deposited on the teeth such as plaque, and this type of gingivitis is called plaque-induced gingivitis. Keep in mind that gingivitis is a curable and treatable type of periodontal disease. If it is not treated, gingivitis could go further and provokes serious disease called periodontitis. This new situation could lead to losing teeth. 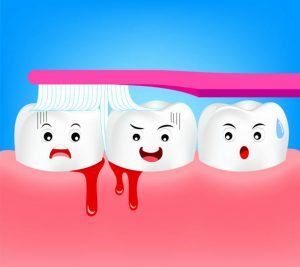 It is good to know that a patient who has diagnosed gingivitis has red and puffy gums that are bleeding every time he brushes or flosses. In general, gingivitis could be resolved with good oral hygiene habits. When patients notice such a situation should consider the fact to make an appointment with their dentists. The plaque and tartar deposits are the main causes that initiate gingivitis. The inflammation is occurring as a response to the immune system of the patient. Plaque formation is created by colonising bacteria that are sticking on the tooth surface. If not removed the plaque continue to accumulate calculus at the base of the teeth. Several systematic diseases and drugs could also provoke gingivitis. The treatment of gingivitis is easy. The patient should visit their dentist to remove the plaque and calculus. Cleaning and polishing are routine procedures that are not painful but cause some kind of discomfort. Routine oral hygiene is the best key to stopping the development of gingivitis. The patient could do a lot of things on his own at home. He could brush his teeth twice per day with an electronic brush or by himself. Use the flossing technique at least once in one day. And another tip is to rinse with specific mouthwash recommended by his dentist. The most important thing to remember is that if gingivitis is treated and if patients follow the doctor’s instructions there is no further complication. In the opposite situation, gum disease can progress and make damage to the teeth, tissues, bones and lead to periodontitis. Dentists need to stay healthy too!